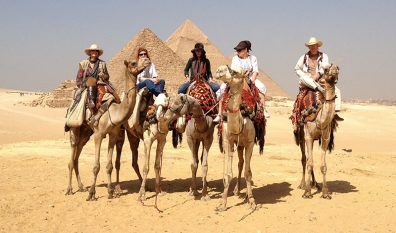 Trek through the Sinai on camels, visit the Pyramids of Giza, the Egyptian Museum and explore nearby Jordan. You will meet and live with the locals; the people who are the true heart of the Middle East. 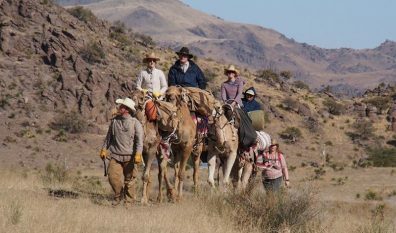 Overnight or 3-day treks traveling the same Big Bend region of West Texas that the historic US Army Camel Experiment explored in 1857 on the Beale Expedition. 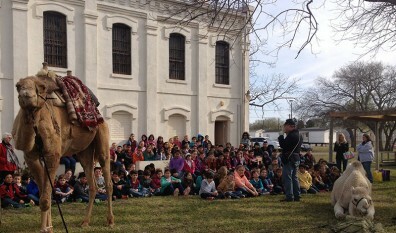 Texas Camel Corps offers education programs with live camels at schools, libraries, museums, and historic sites. Clients include the Smithsonian Folklife Festival, Texas Historical Commission, National Parks Service and more. "The driving goal of Texas Camel Corps is to share our camels in one of a kind settings that the public will enjoy and remember."